Just when we thought the show was over, the curtain rose again. The music was loud and the audience was bursting with anxiety. We were not willing to accept it was the end. Unnatural, uncanny and unexpected moment was when the actors revealed there was another act yet to be presented. An amazing spark of possibility for a play that was compelled to say goodbye. The play at the theatre, as my life, was craving for this new chance, a continuation, a sequel. No time for tears, no space for a funeral, no farewell party, no goodbye speech...Those are the moments when I realized that - no matter how hard things may get, my life was at the point where the cliché applies: " the show must go on". 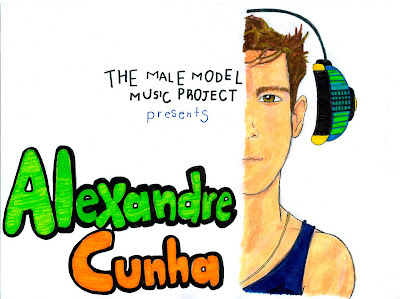 THE MALE MODEL MUSIC PROJECT had a word with ALEXANDRE CUNHA, male model from Belo Horizonte, Brazil, who gladly made a music selection exclusively for this project. Alexandre has been modelling for at least 5 years, working for major fashion brands such as Dolce & Gabbana, D&G , Cavalli, Galliano, Smalto, Bottega Veneta, Thom Browne, Valentino, Hermés, Gianfranco Ferré, Michael Kors, Perry Ellis, and the list goes on and on. He has been featured in many editorials and magazines like GQ, Hercules, L'Officiel and several more. He has also been photograhed by Paul James Hay, Giampaolo Sgura, Doug Inglish, Petra & Morena, Ben Lamberty, Cristina Cappuci, Colin Angus, just to mention some. Now it's his turn to share his favourite sounds with us!!! Alexandre at the D&G Spring/Summer 2011 Show's backstage in Milan. Photo by Luca Cannonieri. How it's been the modelling experience so far? Alexandre: Its been actualy pretty good at this time, cause its the right time to travel, meet people and work! What is your most memorable experience in a fashion show? Alexandre: That was when I first opened a show which was D&G. What's your favourite place to be in the world? Alexandre: Belo Horizonte, my city in Brazil. But when I have to work, so NYC sounds good. Photo by Petra & Morena. What's your message for the people, specially guys who are starting as models? Alexandre: We must take it seriously and learn how to deal with our mind, because this market goes up and down, but the ones that always maintain professionalism will be the ones who will be more successful in a long term. Be yourself!!! Victor Glemaud & Staerk show in New York City. Alexandre: REGGAE!!! !Bob Marley is a lifestyle for me... I mean the way of thinking positive, peace, love! !! We're ONE world!!! What's in the music selection you did for THE MALE MODEL MUSIC PROJECT? Alexandre: Bossa nova, Rock, Reggae... Those are the genres that I like the most! I like content on the lyrics. I hope you enjoy it!!! 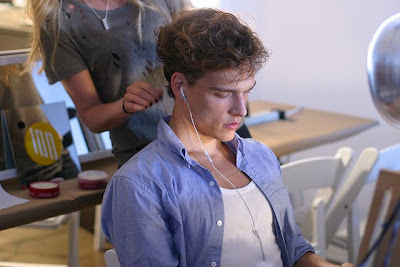 At Billy Reid's SS 2011 backstage, chilling out with this favourite music tracks. 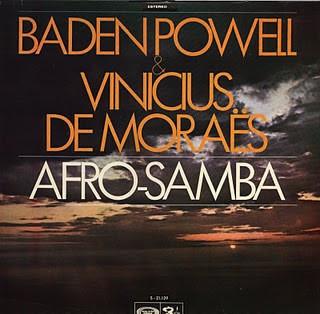 Alexandre's album recommendation for the project: Baden Powell & Vinícius de Moraes- "Afro-Samba"
Keep in mind this album was released back in 1966. If you like bossa nova, this album should be in your collection, since it is considered one of the fundamentals in the history of brazilian music. In this album, Vinícius de Moraes, (an important figure within bossa nova) collaborates with guitarist Baden Powell, performing the songs that became classics and iconic sounds of this beautiful country. 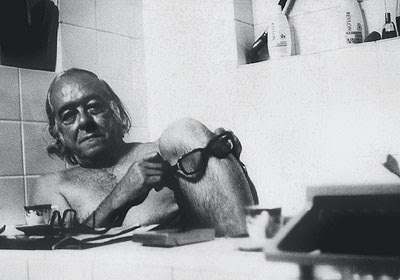 Vinícius de Moraes, poet and performer, important figure in the history of bossa nova. Special thanks to Alexandre Cunha for making this music selection and recommending this great album!!! Welcome to the project!!!! !